tvN Asia continues to provide the best Korean entertainment to viewers in Malaysia and Singapore with 2017 Mnet Asian Music Awards, dramas - Drinking Solo, Leaving the Nest 2 and reality show - Top Stars' Parallel on HyppTV tvN, channel 601. 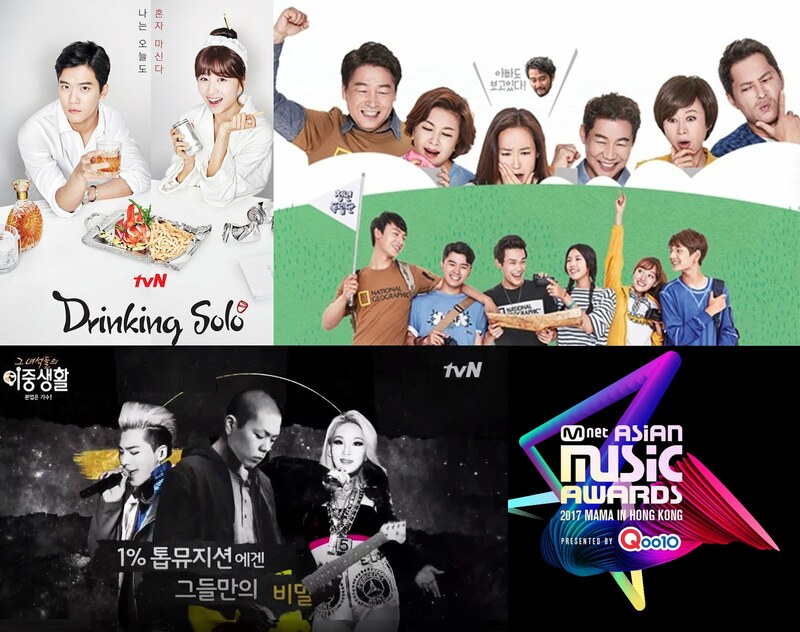 MAMA, one of the major K-pop music awarding ceremonies held annually by CJ E&M, involving the participation of some of the most well-known actors and celebrities in South Korea and other countries such as China, Japan, Hong Kong and the United States as well. The finale of 2017 MAMA is happening in Hong Kong, and it will be on HYPPTV tvN (CH 601) LIVE on 1 Dec. Curious about the behind-the-stage lives of Korea's top musician? 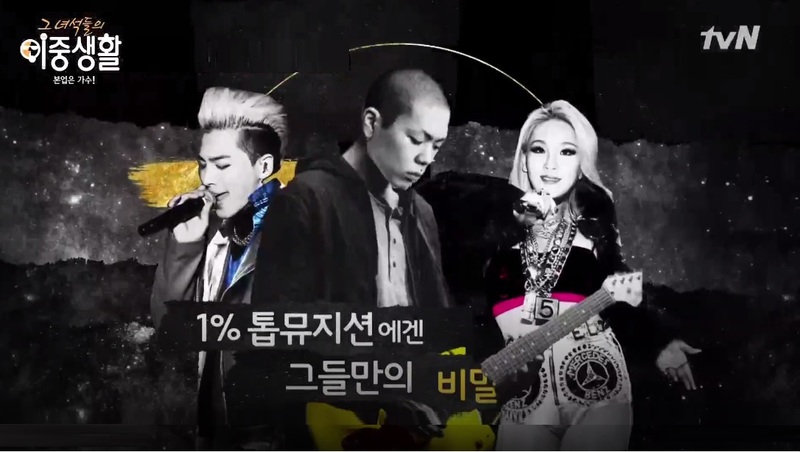 Featuring BIGBANG's TAEYANG, CL, Oh Hyuk and etc., rarely seen daily live footages of them and the process of how they make music would be first to be revealed on 'Top Stars' Parallel Life'. The sons and daughters of different celebrities will leave their nest to live independently in a foreign country. Their celebrity parents will review their lives through recording and see the true colours of their children when they are out in the wild alone. This drama is about the slice-of-life and daily activities around the teachers, students, staffs of a private institution that prepares for civil service exam around the area of Seoul's Noryangjin. The characters like to drink alone after work for their own reasons.